I consider September 1st as a beginning of fall ~ regardless of the temps around here! My favorite season and a prelude to October, my favorite month. Cooler temps, crisp mornings, the scents of apples, cinnamon and other spices. Pumpkins galore, changing leaves, baked breads, soups and stews, wonderful candles, jackets, boots, funky socks and cozy throws. So...please take a few moments and listen to my guy! Love him:) Enjoy this first day of September! HUGS! Fall has always been a favourite time of year for me too, but now that I'm getting a teeny bit older, summer is holding more attraction for me, and the prelude to winter has lost a teeny bit of appeal for me ... just a bit! I have already been burning my cinnamon candle though! We both celebrated today!!! 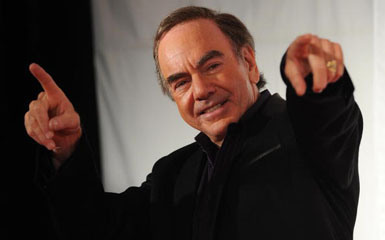 I saw Neil Diamond in concert last year and guess what? He did NOT sing September Morn! That was okay since I save that for September. Still......it would have been nice to hear it in person! I woke up humming that song yesterday!!!!! Love Neil Diamond, he's one of my faves!!! Happy September to you. I love fall in all it's glory. I also enjoy Neil Diamond. Hope you have a great Labor Day weekend. Happy September, Pat! Who doesn't love Neil Diamond??? xo, T.
What a lovely song choice ... perfect. Wishing you a happy September, may the month be a good one for you. Oh Yes, I remember the song September Morn well. I'm so glad to find someone who loves Fall as much as I do. :) All the thing you wrote to describe it is wonderful!! Happy Fall, Pat!! What a great way to begin a day! He's better looking now than when he was young. You could fall in love with him from his voice. I do love Sweet Caroline. Hope your day is beautiful! 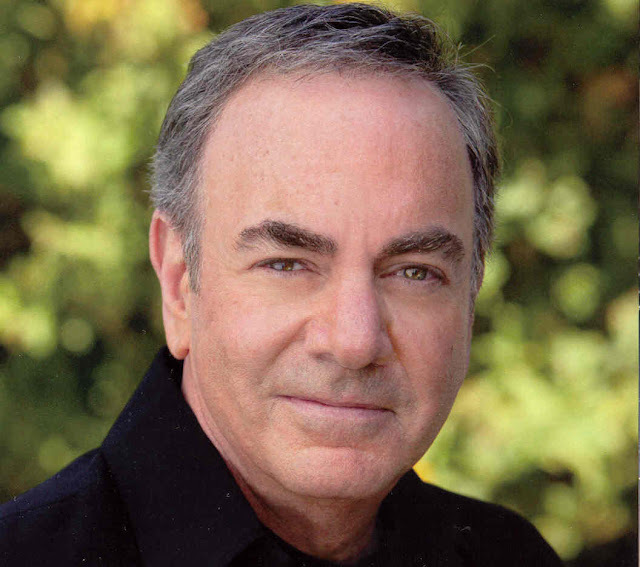 I love Neil Diamond even though I've never had the chance to hear him in concert. Great singer/songwriter for sure.